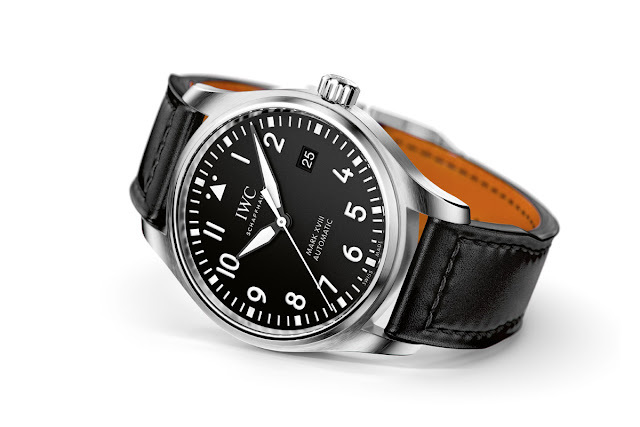 Another novelty presented by IWC at SIHH 2016 is the Pilot’s Watch Mark XVIII, the entry-level model of the Pilot collection. 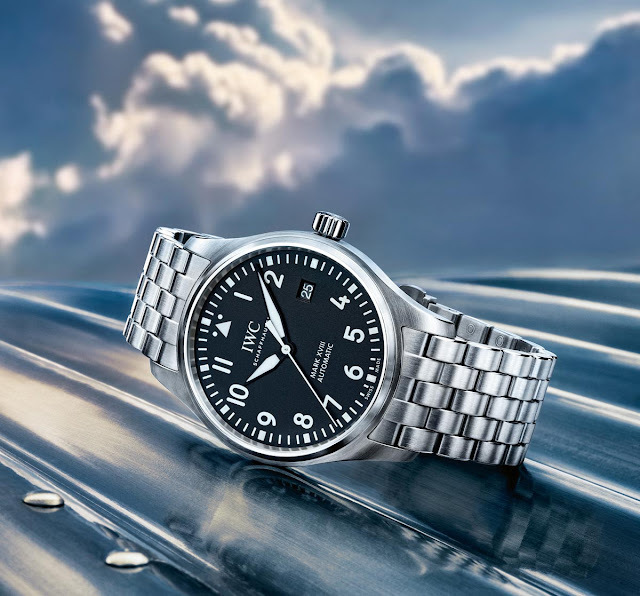 Available with a calfskin strap or stainless steel bracelet, the new Pilot’s Watch Mark XVIII no longer features the triple date display. Compared to its predecessor, the Mark XVII, the new models present a much cleaner dial despite its case, at 40 mm, is one millimeter smaller. Three are the references of the new Mark XVIII, all of them with a satin-brushed stainless steel case: IW327001 with a black dial and a black calfskin strap, IW327002 with a silver-plated dial and a black calfskin strap and IW327011 with a black dial and a stainless steel bracelet with fine-adjustment clasp. The contrasting dial offers instantaneous legibility without any superfluous detail. The hours are marked by big and round Arabic figures except for a white triangle with a single dot on either side at 12 o'clock and a date window at 3 o'clock. 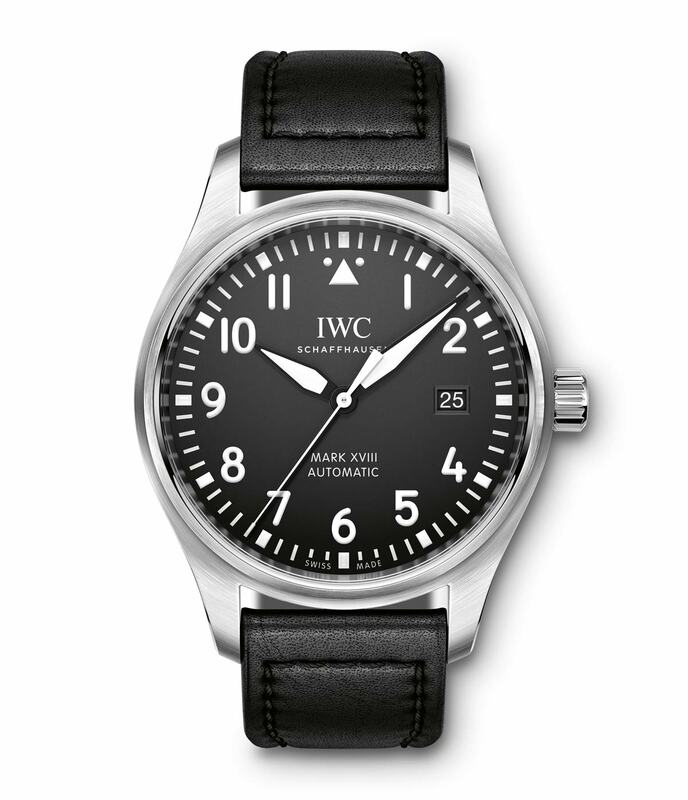 Engraved into the reverse side of the watch is a depiction of a 1930s Junkers Ju 52, the German trimotor transport aircraft whose cockpit instruments inspired the IWC designers when they created the Mark XI pilot watch for the the Royal Air Force (RAF). Note: The Mark 11 owes its name to the fact that the RAF assigned the term “Mark” to all items of equipment. Although these items may have been sourced from different manufacturers, they all had the same dimensions and mounting points and were thus interchangeable. 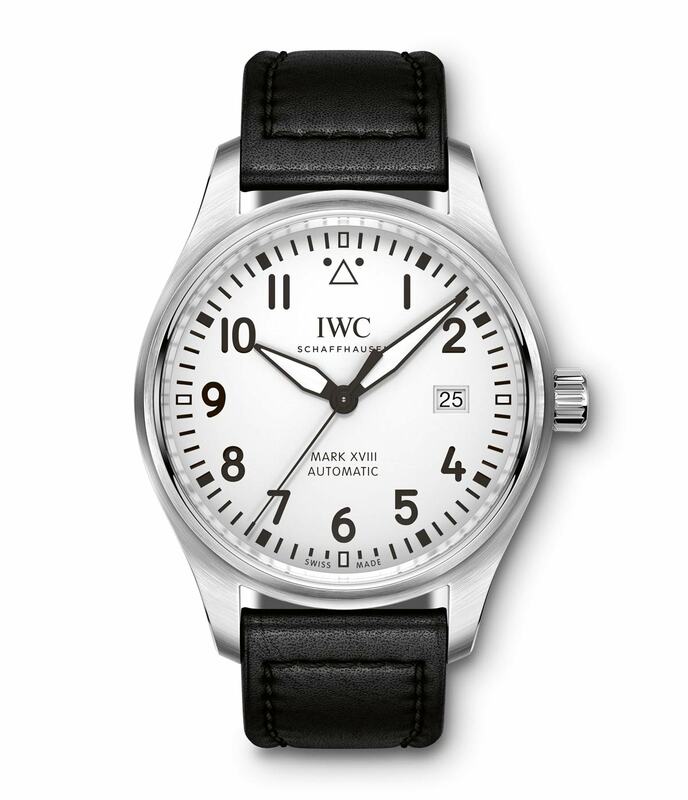 Water-resistant to 6 bar, the Mark XVIII features a soft-iron inner case which protects the self-winding Calibre 30110 (a modified ETA 2892 ) against magnetic fields. 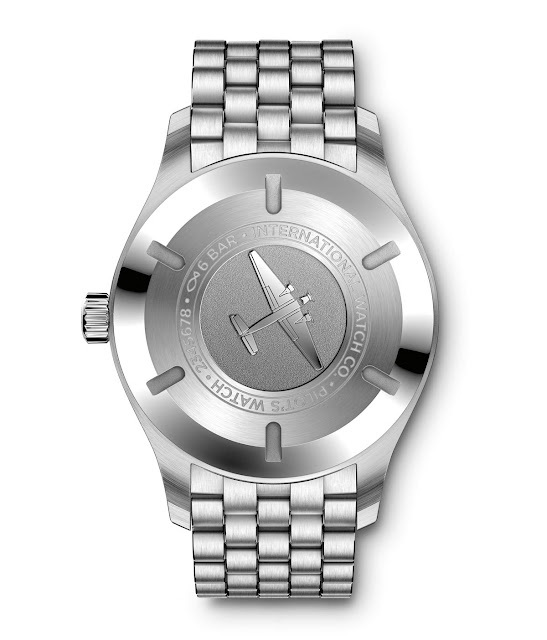 The movement beats at 28,800 vibrations per hour and guarantees a power reserve of 42 hours. The black calfskin straps are created by renowned shoemaker Santoni and are lined with orange leather on the inner surface. Two-tone textile straps, inspired by the historic Nato straps, are also additionally available for all Pilot’s Watch Mark XVIII models. 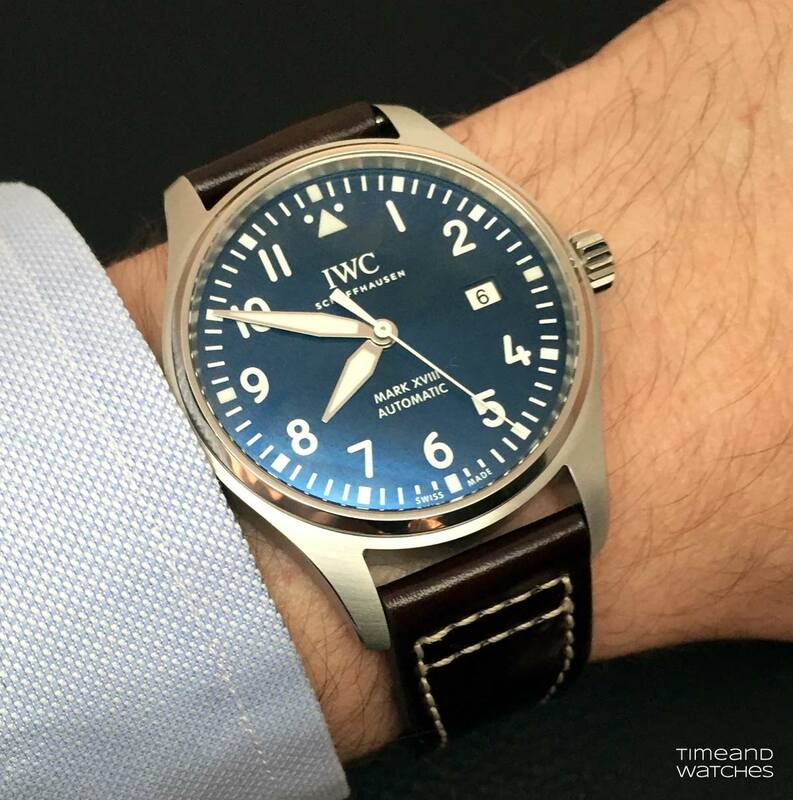 The IWC Pilot’s Watch Mark XVIII models on a strap (ref. IW327001 / IW327002) are priced at US$ 3,950 while the cost of reference IW327011 on a bracelet is US$ 4,950. SIHH 2016: IWC Pilot’s Watch Mark XVIII. Another novelty presented by IWC at SIHH 2016 is the Pilot’s Watch Mark XVIII, the entry-level model of the Pilot collection. Available with a calfskin strap or stainless steel bracelet, the new Pilot’s Watch Mark XVIII no longer features the triple date display. 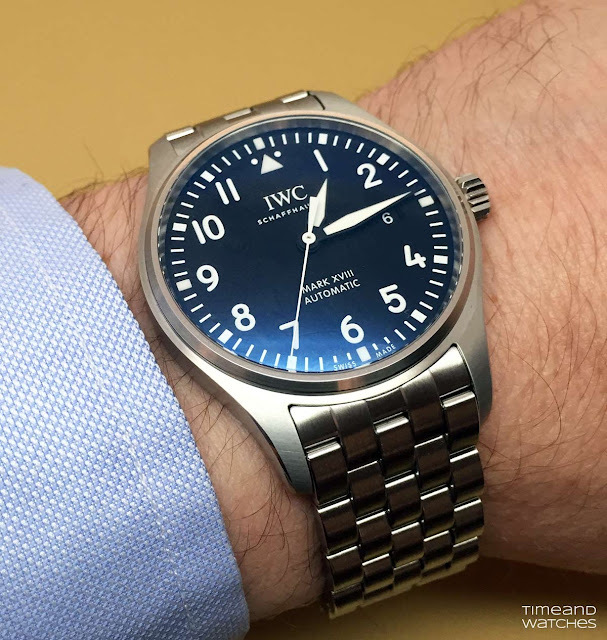 The IWC Pilot’s Watch Mark XVIII models on a strap (ref. 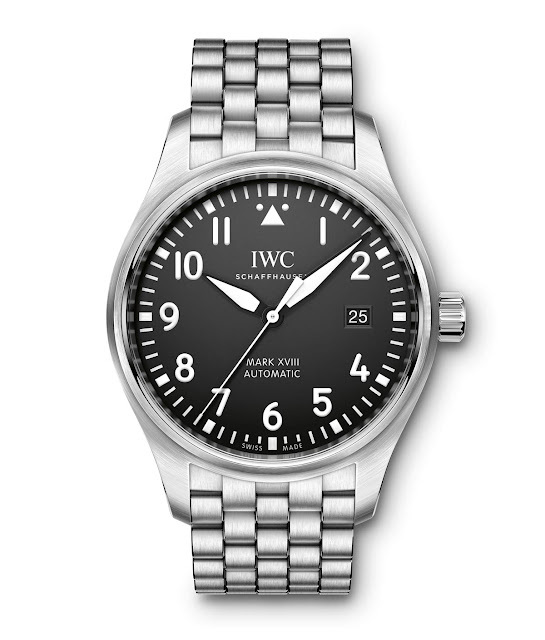 IW327001 / IW327002) are priced at US$ 3,950 while the cost of reference IW327011 on a bracelet is US$ 4,950. 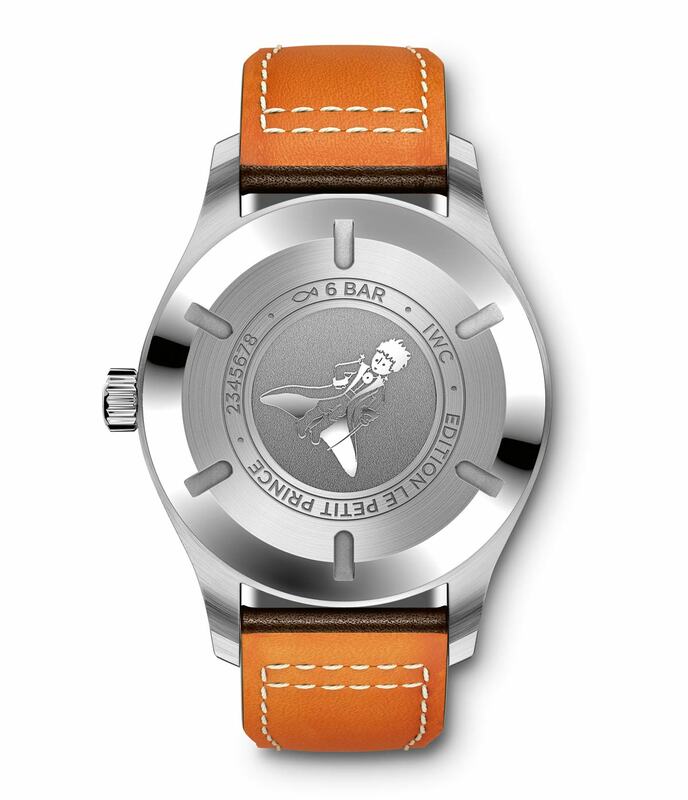 The Pilot’s Watch Mark XVIII also features the “Le Petit Prince” Edition (ref. 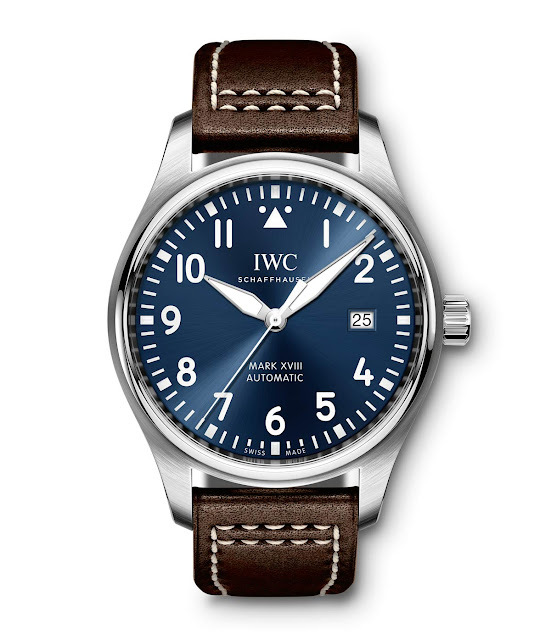 IW327004) characterised by midnight blue dial brown calfskin strap with beige ornamental seams and back engraving of the little prince.